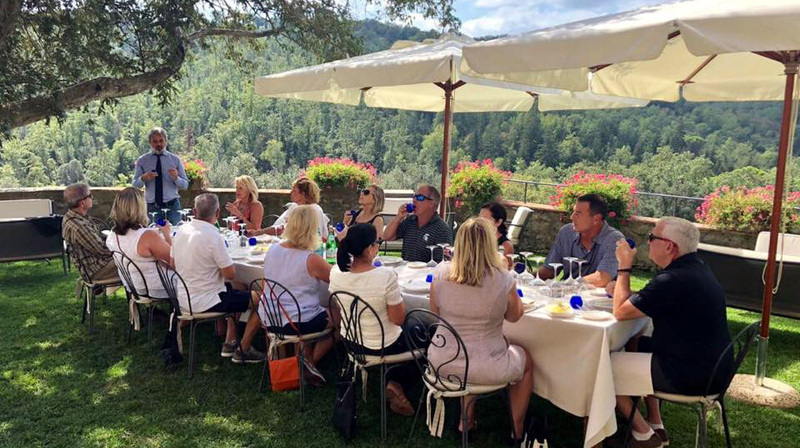 Because travelers are hungry for fresh experiences that expand their horizons and give them a new perspective—they really want to see a destination from an insider’s point of view. Today’s traveler no longer wants a “cookie cutter experience” being shuttled around on a motor coach with 65 other travelers and a tour guide with a microphone. Rather than checking a number of tourist attractions off a list, travelers seek an understanding of the culture and people in a destination, a chance to fully immerse themselves in the destinations they are visiting along with genuine personal interactions. They are also, according to the report, using travel as a way to connect with family and friends in deeper ways. Similarly, the “AARP Travel Research: 2017 Travel Trends” report finds that most baby boomers are looking for a laid-back and relaxing trip that will give them the opportunity to spend quality time with friends and family. Guided vacations deliver those experiences that today’s travelers seek, and more. Genuine human experiences? Check. Cultural immersion? Check. Time to relax and connect with loved ones? Check! 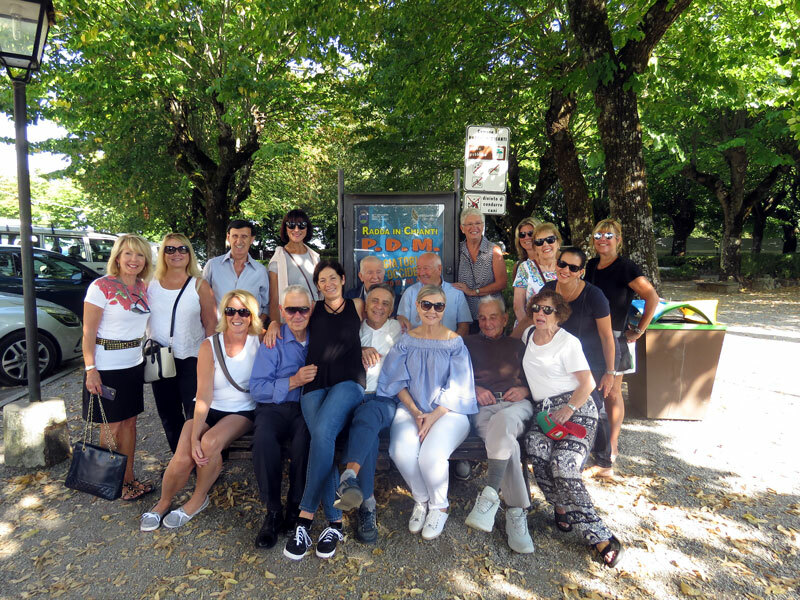 Here’s a list of 10 reasons why taking a small group privately guided vacation with Viva Italy Tours, LLC is worth checking into. You don’t have to worry about the logistics, planning and research for your trip. That is all taken care of for you, allowing you to focus all your energy on relaxing and having the experience of a lifetime. With fewer travelers you’ll spend less time checking into hotels and getting on and off large buses. We travel with vans, private boats (in Venice) or mini buses holding 8-16 people maximum. You’re always be pre-checked into your rooms ahead of time. By traveling in smaller vehicles we have access to smaller villages, and restricted areas in larger cities. You’ll spend more time in a destination, so you can relax, unwind and explore at your own pace. The itinerary and sightseeing is customized for each group. With 2 tour leaders always present groups can easily break up and go in two different directions. You’ll have more opportunities to get to chat with fascinating residents in the places you visit and more interaction with your local guides. In a smaller group, everyone can be more flexible and open to spontaneous opportunities and experiences. Because you’re traveling with a chef and former Slow Food Director, savoring the flavors and specialties of each region will be an important part of each meal. Our tours are limited to easy going, fun loving travelers only!! 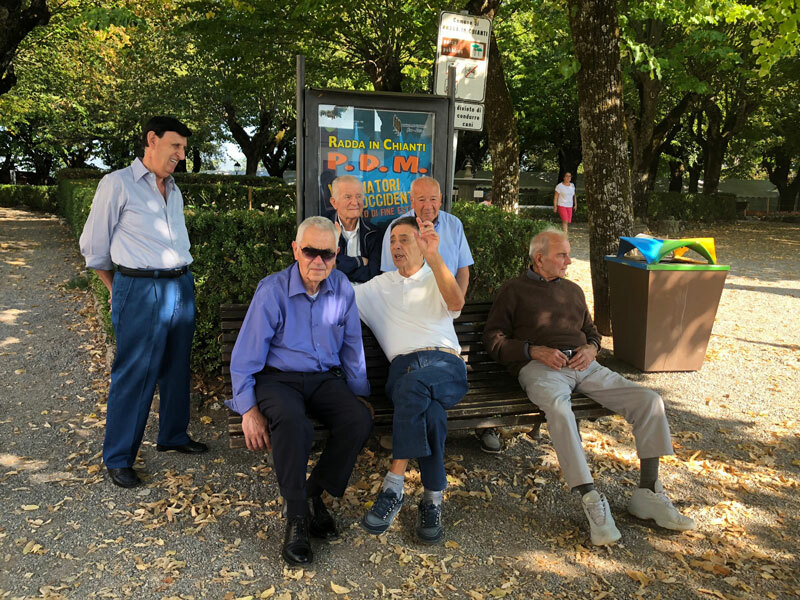 Viva Italy Tour Group Mingling with the locals: LOL! When Is The Best Time To Travel To Venice Italy?